Visit joshhawley.com and clairemccaskill.com to volunteer. Other candidates include Japeth Campbell (Libertarian) and Jo Crain (Green), and Craig O’Dear (I). Due to lack of space, we can only include candidates who poll 15% or more, but encourage you to check out their websites. To download a printable pdf version of this guide, click here. Hawley – Ban. Called Roe v. Wade “one of the most unjust decisions” in U.S. judicial history. McCaskill – Legal. Supported bill to prevent abortion providers being singled out for medically unwarranted restrictions. Hawley – Unclear. Has said need ethics reform, but no stands requiring this. McCaskill – Yes. Backed bills to require. Hawley – Unknown, although Citizens United PAC supported for Attorney General. McCaskill – No. Restore reasonable limits. Climate Change: Consider climate change a critical threat? Limit or tax greenhouse gas production? Hawley – No. Criticized Obama’s “job-killing ‘climate agenda’” and “climate change crusade.” Backed lawsuit against Obama Clean Power Plan. McCaskill – Yes, but asked for more time for coal plants to implement Obama Clean Power Plan, while opposing its repeal. Opposed carbon tax but supports US participation in Paris Climate Accord. Hawley – Yes. Was lawyer in Hobby Lobby case that gave businesses religious freedom rights to withhold this coverage. McCaskill – No. Says best way to reduce unintended pregnancies and abortions is by expanding access to birth control. McCaskill – Will decide after hearings. McCaskill – Supports federal infrastructure investment. Economy: Support President Trump’s tariffs on Chinese steel and other products? Hawley – Supports approach but worried about farmers, so wants to see the deal. 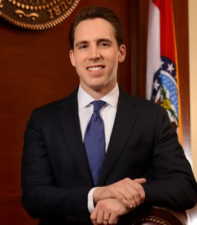 Hawley – Has supported eligibility of religious schools for state resources. Position unclear on vouchers. Elections: Support nonpartisan “Clean Missouri” redistricting initiative to address partisan gerrymandering and limit gifts by lobbyists. Hawley – No current stand. McCaskill – No, but opposed some EPA regulations affecting farmers. Hawley – Yes. Argued that its creation was unconstitutional. McCaskill – No, but voted to amend some of its banking rules. Hawley – Supports background checks, banning bump stocks, but not assault rifles. McCaskill – Yes. Supports Second Amendment, but supports background checks, closing gun show loophole, assault rifle ban. Hawley – Repeal & replace ACA, which “was never constitutional.” Part of lawsuit to end required coverage of pre-existing conditions. McCaskill – Supports “improving” ACA. Offered Senate resolution to protect coverage of pre-existing conditions. Healthcare: Allow public funding of Planned Parenthood for non-abortion health services? McCaskill – Yes. Taking away birth control will increase abortions. Immigration: Support DREAM Act (DACA), allowing “Dreamers” who arrived illegally as children, then grew up in the US, to achieve legal status if meet certain conditions? Support path to citizenship for America’s 11 million illegal immigrants? McCaskill – Voted for 2010 DREAM Act. Worked on bipartisan immigration proposal with path to citizenship for DACA kids combined with more border security. Opposes Trump’s wall and family separations. Has opposed general path to citizenship for illegal immigrants. Iran: Support Trump withdrawal from treaty limiting Iran nuclear capability in return for lifting economic sanctions? 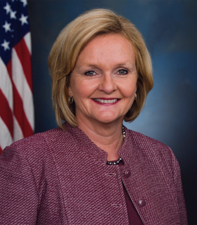 McCaskill – Supported original treaty. “Concerned about what comes next” and effect on the relationship with allies. Labor: Support “Right to Work” laws, which make union dues optional? McCaskill – No. Opposed MO ballot initiative. Marijuana: Legalize or decriminalize marijuana. Hawley – “Inclined” to support medical marijuana in initiative. McCaskill – Supports medical marijuana, alternatives to prison for nonviolent drug offenders, “might support” recreational marijuana. Minimum Wage: Support Missouri minimum wage initiative? McCaskill – Supports MO initiative to raise to $12/hour by 2023. McCaskill – Yes. Co-sponsored bill to restore rule requiring this. President Trump: Percentage of key votes supporting Trump positions in Senate? McCaskill – 45% as of Sept 1. Privatization: Support full or partial privatization of Social Security and VA? McCaskill – Yes. Supports alternative energy subsidies, but also recognizes Missouri’s dependence on coal and supported Keystone Pipeline. Student Debt and Financial Aid: Refinance student loans at lower rates, by raising high-earner taxes? Increase student financial aid, like Pell Grants? Hawley – Unclear, but says universities waste billions of public funds and leave families with billions of debt, giving students “worthless degrees” and indoctrinating them in far-left thinking. McCaskill – Yes. Co-sponsored Elizabeth Warren proposal to refinance student loans. Supports increasing Pell Grants. Voting Rights: Support stricter voting rules like voter ID requirements or reduced registration times, even if they prevent some people from voting? Hawley – Defended strict Missouri Voter ID Law, but may have just been in his role as Attorney General.